“Should you stage your home before listing it?“. It is a question many potential sellers are asking themselves as they prepare their home to get listed. Even after you list your home, it is still worth considering whether staging will help bring the desired result…a sold home! This move became very popular in the past couple of years and may provide you with a better price, and save some time as well. Of course, staging a house comes with a list of downsides you should consider as well. The information below provides you with the data you need to help you determine should you stage your home before listing it. Hopefully, this article will both inform and educate you so you can make the right decision about staging your home when it comes time to decide one way or the other. There are numerous factors that affect the home selling process: age and state of the house, neighborhood infrastructure, demographics, and on top of all, demand for real estate. There are periods of the year when real estate markets can become stagnant, and in those months it is tougher to sell a house. A good way to fight that is to stage it. In case your house is already on the market, It could be a smart move to discuss with your agent the possibility of staging it to help get it more buyer attention. Houses that sit on the market for months are typically not that desirable to buyers and investors. Also, agents may not be all that interested in showing the home either as they will already know its shortcomings. If your home has been sitting on the market, make sure to consult your agent to see if you should stage your home to get new buyers coming through with a fresh outlook. Reduces the emotional factor – Selling a house is not easy. After you are done with staging, your home will look differently which can help you look at it from a business standpoint not an emotional one. If you can take emotion out of the equation, you will think and act with a level head when buyers decide to make an offer. Staging is visually appealing to potential buyers – When people see a furnished house, it will be easy for them to imagine spending time in there. The furniture you used for staging will provide them with a reference and clear view what the property could look like. While going through the house, they will start re-arranging in their mind, imagining their belongings in the home. Staged homes look cleaner, well maintained, and modern – It is true and buyers will appreciate the effort. The easier you make it for consumers to feel at home, the better opportunity you have they will want to call it just that…home! Your home will look more spacious – Having semi-empty closets, rooms, and cabinets will make an illusion of space. Your house will look much bigger if there are a few larger objects in the home. That way, potential buyers will get a better idea of the overall dimensions. First impressions are important – Staged houses create better first impressions, and that can be crucial when it comes to selling. If consumers like what they see when the door opens you can bet they will spend more time checking out all the features. Engagement helps you – If you engage in staging the house, you will get a birds eye view, and perhaps new perspective, of the overall state of your home. If there are repairs that need to be done they will be obvious. Get started and you will be ready for inspections and will avoid shock if there is something to be fixed. Emotions run high – Buying a house tends to get very emotional. Staging the home can have a soothing effect for all parties involved. You will feel better about how the home looks and potential buyers will enjoy what they see, smell, hear, and touch. Making the experience a positive one can help increase your chances of getting the home contracted. Talk to professionals – Whether it is your agent or a layman in the industry, most will agree that a freshly painted and decorated home looks better. In fact the pros at Colour Life Painting say that “bringing color to life with paint” is a smart move and I agree. If your house is staged and has bright new colors it is more likely to attract people and keep them in the property longer. It is logical…the more potential buyers that see the house, the chances of selling increase appreciably. 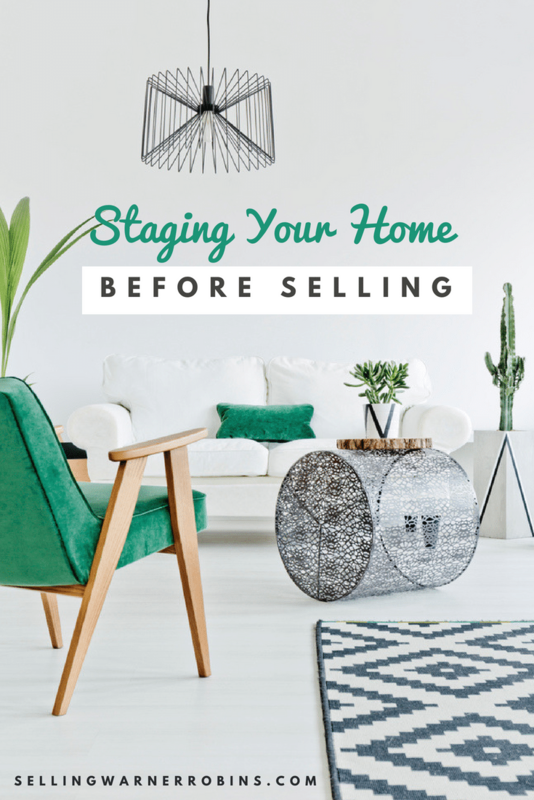 Staging can work as a memory hook – After a whole day of house viewing, the average person is more likely to remember a home that caught their attention than those that did not stand out. Generic looking homes could get forgotten so try to be creative and original with your staging so your house stands out in an elegant way. Of course, the decision to stage a house has its downsides as well. You should be aware of these before investing any money in this selling technique. The list below will provide you with the most common disadvantages you should consider before staging your home. Time and cost – Staging a property can be time consuming and it can be very pricey if you decide to go with high-end options. Much of the home staging budget could be exhausted making one room look perfect without having the funds to complete the rest of the house. Also, researching affordable options and spending time going through the process may not be ideal for your situation. Make sure it is beneficial – Keep in mind that every penny spent on staging should put two cents back in your pocket, figuratively speaking. This is the main reason why staging can end as a bad investment. Make sure to be practical and ensure the return on investment is going to bring exactly what you expect. Accepting a less than desirable offer could negate the cost to make the home look great. Can you maintain a “perfect” home – If you are still living in the house you want to sell, using staged furniture can be a hassle. You want to keep it pristine as you will have to return it. In addition, every time you move something the risk of scratches and marks on the walls, doors, and even furniture can be a distraction that could cost you both time and money to resolve. Not always a good investment in high demand areas – Let’s face it, if you are fortunate to own a home in a highly desirable area, chances are the property will get plenty of buyer attention, which can negate the cost of staging since the expectation is the home will sell fast anyway. 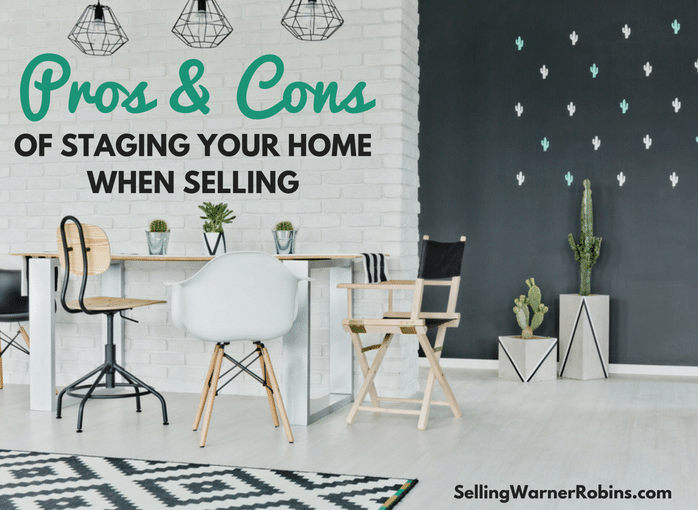 Remember that when you are weighing the pros and cons of home staging. Overkill is a time and cost waste if it is not necessary. What message are you sending – Your home is used. All buyers know and understand that. If it has a little wear and tear on it but the furnishings are perfect, will that give buyers the wrong impression. Will they think you are trying to hide something? Maybe. Because of that, make sure not to overcompensate with staging. Most buyers understand there will be minor imperfections with a home someone else has lived in. Too much staging may lead to disaster – Let’s say you staged your house and red is the dominant color. While it is silly, some buyers will be turned off by a particular color or theme and will not be able to see past that to see all the property itself has to offer. Avoid losing a deal due to over-staging. Keep everything simple and tasteful. As you can see there are plenty of reasons why you should consider staging your home before listing. Go ahead and start work on staging the homes exterior. The first thing buyers will see is the landscaping. Make sure it is tidy. Planting colorful plants can be appealing and will give your home a fresh look. It is also a good idea to touch-up areas that need painting (such as the door or mailbox) and rearrange or replace items on the porch if necessary. All these minor details can make a difference. If you cannot get buyers to come inside the home, you stand virtually no chance of selling them the home! Of course, be aware of all disadvantages that may occur before and after you stage the property. Before you make your final decision, make sure to consult with a staging professional. They should be happy to guide you through the whole process to set your home up for success if you decide to stage it. As much as you can, avoid making emotional decisions. Your judgement will be clouded and you may not think or act in a realistic manner. Remember, the goal is to sell your home! So…Should You Stage Your Home Before Listing It? Staging a house can be a huge hassle. until I sold my last property I had no idea how uncomfortable it could be. I will tell you that it was worth it. I don’t believe that I could have sold the house in the area that it was in without having it staged by a professional. Thank you Mrs clark for the good read! I work as a estate agent at Albir Property. We mostly sell and rent houses and apartments in Albir and Altea. The area here has nice climate with more that 320 days a year with sunshine. Life is good here. If you ever come to Spain, feel free to visit you will find many nice properties, houses and apartments in Albir and Altea for sale in albir and rent and also plots, villas and penthouses. You find us in the centre of Albir.